Intent: The intent of Abyssia is to provide a harsh, cruel and unforgiving underwater ocean world, that hosts many challenges. 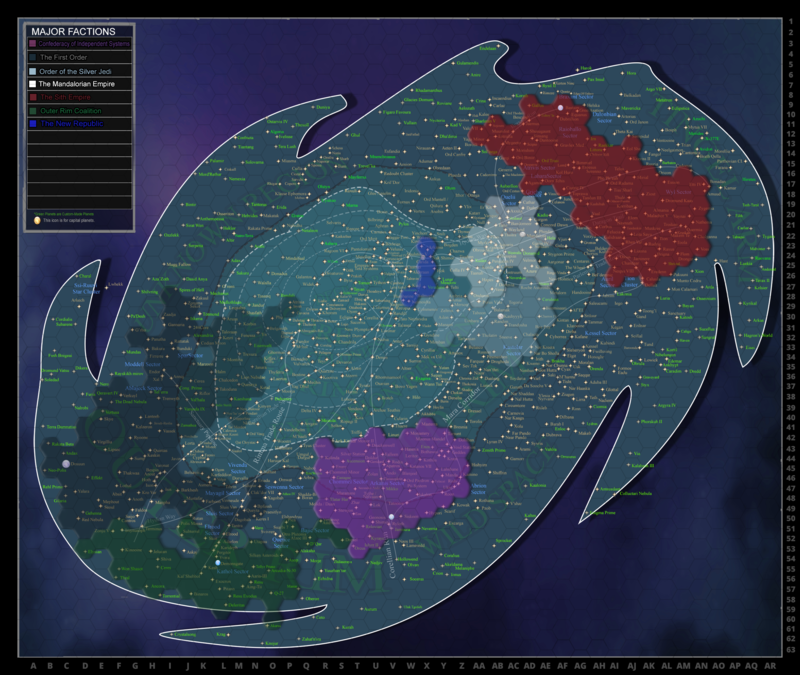 Demonym: Abyssian/Whatever they want to call themselves, the planet doesn't even have a major city. People settle there, they live there. System Name: Nauthilas, also owned by Alterra Inc.
System Features: Sun (Nauthilas Prime) Moon (Nauthilas Delta) Other Planet: Kōri (Ice Water World). Climate: Tropical. 25-30 Celsius at the surface in the sun morning to afternoon. Afternoon to Evening is 35-25 Celsius, Night is 20-15 Celsius. It has two-three islands on land with tropical flora. 70-100 degrees Celsius at the closest to the bottom without drilling, the Active Lava Zone, or heart of the Volcano. The Defence Island, a large mountain island in the Dune region with rough grass and a few trees. It houses spider like creatures the size of two adult human hands, with four legs, spider like, and purple in colour. It houses a large turbo laser platform, with two singular cannons that can rip through a normal frigate's unshielded hull, apparently as a planetary protection system, the beam can not reach outside of the planet's atmosphere, but can curve using the planet's gravitational pull. However it can only reach halfway around the planet, meaning on the other side of the planet, there is another turbo laser platform. It's small, roughly 200 metres in length, and 100 in width. It resembles a tiny America in top-down shape/view. The Turbolaser platforms were built by a race of now extinct precursors to automatically target ships in orbit and shoot them down. It was designed to protect certain things from the viewing of others, also possibly to protect the planet's life. The Dormant Crater. The Crater is the main location, where all of the biomes are, and is, thus far, the only habitable area. It houses the biomes, and most life on the planet, apart from plankton species, and a few other species that live outside the crater, in the ecological dead zone. The crater is the center of an ancient volcano that has been dormant for no less than a five thousand years. At the bottom of it is the lava chamber, the Active Lava Zone, and above that, the Inactive Lava Zone, magma can be found in both, though it only flows in the Active Lava Zone. On a side note, in the Inactive Lava Zone, there is a formation of rocks resembling a miniature mountain, named the Lava Castle, it is a hollow mass of rock, like a miniature volcano, it is honeycombed by natural tunnels and caves, in the middle, it has it's own magma chamber, a volcano inside a volcano. The Research Site. This site was built on the mountain island, though it's entire mass went far down to the base of the island and held many specimens from the planet, both male and female. There is atleast one female and a maximum of one male in each containment cell, the cells are reinforced to withstand blasts from blasters, and most basic tunnelling methods, aswell as the species inside them, it is a titanic facility. The upper levels house the facility staff's quarters, and the training facility. The top level holds a training facility, which trains new recruits on each species on the planet, how to deal with them, etc. The level under that holds the facility security bunks and armoury. There is a perimeter wall around the facility, stretching down to the bottom of the facility underwater. This wall is patrolled on top by atleast ten guards at a time, the gate is guarded by no less than six guards, three outside, three inside, the entrance to the facility is guarded by ten guards aswell, five inside, five outside. This level is referred to as Level one, and the training facility as Training Level. The level under Level 1 is used by facility staff such as janitors, researchers, and is patrolled by security, from this point on, you are required to have a security card with appropriate clearance to proceed downwards, starting at Clearance 1 for level 2, increasing by 1 Clearance level for each level you go down. The third floor is used by Head Researcher's offices and bunks, and separate Departments such as R&D, Weapons Research, Artefact Research, Armour Research, etc. Level 4 has Department heads and the Site Director's separate rooms, holding offices, bunks, kitchens, bathrooms, etc. Every level under this holds separate creatures, on the bottom few levels are the biggest and most dangerous creatures, starting with the Reefcarrier, as the largest, non leviathan class docile creature. Under that is the Wraith Leviathans, then Sea Wyverns, then SnakeHammer Leviathans, then Sea Emperor's, beyond that only those who Caesar Kenway permits may venture to, even the Site Director can not go down that far. The facility incorporates a pyramid like design, burrowing into the planet to house the creatures. Side note: There are other facilities on the planet, on a smaller scale, designed to hold a certain species that can not be reasonably or safely kept with the others due to size, feeding requirements, strength, or other reasons. Precursor Bases, Large to small bases, about ten all in all, one in each biome under the Deep Grand Reef and the Deep Grand Reef. Safe Shallows, lush plant life, near to the surface, no hostile life naturally. Kelp Forests, Blood Kelp Forests, white and red thin kelp with a sort of skin like feeling. Grassy Plateaus, red grass, no other plant life apart from slight shrubbery. Grand Reef, like the Great Barrier Reef, but deep, deep down, atleast 100 metres to 150 metres. Deep Grand Reef, 150 metres down to 250 metres, lack of plant life unlike the Grand Reef, but still prominent. It holds a Precursor cache of armour. The Lost River, a dark bonefield of unnatural creatures that are transparent. It houses a gargantuan skeleton in the center that belongs to a extinct species of predators even bigger than the Sea Emperor, due to it's size, it could not have fit in the Lost River bonefield when it was alive, so either the planet shifted and it was exposed, or the rocks shifted when it was in there and trapped it. It could also be a case of the species continuously growing but not leaving the Lost River and growing too big. The area is dominated by dark, unusable rocky terrain, and green brine that is toxic to most species without proper equipment. It pools up in crevices, or in a frozen waterfall appearance, where it leaks down. Only the creatures that inhabit the Lost River are immune to it. It houses a large Precursor Disease Research facility. It holds three SharkHammer Leviathan juveniles. It also holds a Precursor Cache of information and data. Inactive Lava Zone, one of the former magma chambers of the volcano, when it became dormant, so did the Inactive Lava Zone, the lava stopped flowing from above, it just stopped, it became a burning hot rocky place with a few lava patches here and there. It holds the Lava Castle and two Sea Wyverns. It also has the Precursor Thermal Plant that powers the other Precursor Sites. It also holds a Precursor Cache of weaponry. Active Lava Zone, it still holds active lava, it can be accessed by a few tunnels from the Inactive Lava Zone or a big hole in it. It holds one Sea Dragon and the Precursor Primary Research Facility, where the Sea Empress and her eggs were. When the eggs hatched and went off to explore the open biomes such as the Grand Reef, Dunes, Grassy Plateaus and even sometimes wandering into the Ecological Dead Zone. The facility also kept a record of all the living creatures of the time on the planet a thousand years ago. With egg samples, it also researches weapons and artefacts. Finally, it holds a Precursor Cache of samples of the species. Ecological Dead Zone, it is barren of all life apart from the microscopic size, such as plankton. It is inhabited by Adult Sharkhammer Leviathans that filter feed. It is a large drop down to the planet's crust from the crater edge, 3,000 metres down. It has a Precursor base 1,500 metres down that serves as a control center for the Turbolaser platform. Warrior Sharks, armoured, sharks, but thinner, less bulky. Shroom snakes, big, long purple snakes with two front grabbing hook mandibles, and two smaller teeth, they hide in burrows, or giant mushrooms. Snakehead Leviathans, large, ghost like creatures that feast on plankton, live in the Ecological Dead Zone, but grow up in the depths of the crater. Many other insignificant ordinary, but native fish species that serve as food. Cuddlefish, cute little cuddly creatures that serve no purpose, an adult male is generally the size of an average human torso, they have squid like tentacles that span half of their body length, halfway down, and a cute little head from the top up, all connected. They're very playful and love attention, much like the Wee Dragons, though they only eat flora or plankton, even certain treats. Reefcarriers, large creatures with around five tentacles they used for steering, they drift along with the currents, they have miniature reefs on their backs. They're the whales of Abyssia. There is also a large species named Sea Emperors/Sea Empress's, being the only species to have a name affected by gender, they are the largest documented species, capable of telepathy within a kilometres range, they have claws for hands, and typically command creatures smaller than them, they are peaceful however, and can pacify other creatures that are generally aggressive, they have nine tentacles which they use to propel themselves through the water, they are Leviathan class creatures. Immigrated Species: Settlers andAlterra Inc. employees. Population: About 800 all in all. Demographics: A few large research facilities and housing areas are present on the world. The settlement is open to all kinds of species. The main settler species is Karkoradon, Quarren, and a few other aqua species. Primary Languages: Whatever is used by the rare inhabitants. The settlers do mostly speak basic. Culture: Daily Life? Whatever suits them, there are no recreational centres or shopping centres, what they eat and drink is what the farm and filter, or what is given to them from off world sources. Most of them would stay huddled up in their houses, where they're safe from the big bad Leviathans. Government: Free planet, but with certain regulations. Affiliation: It falls under the ownership ofAlterra Inc., by the law of Terra Nullius, or the closest equivalent. Wealth: None, it has no specific population, to each their own. Freedom & Oppression: Relaxed and Open. Only two main punishable offences, hunting the native species, punishable by being escorted on the person's ship out of the Nauthilas system. The exception to this is if one is forced to attack and/or kill a creature because it attacked the individual. The other offence is mining without permission, this is settled by Alterra being paid for the rounded-down sum of all the materials used, mining itself is allowed, aslong as there is no ill effects, mining and utilising the materials mined is illegal. Certain exceptions will be made by the System Director's self, or those with his authority. Military: The protection Alterra offers from the species being hunted to mass extinction, apart from that, the residents are left to fend for themselves. It is mostly a well formed military protecting the Research Facilities. Technology: Residents bring their own technology and weapons, simple. It is usually normal level technology from whereever that were before they came to Abyssia. Though the standard technology used at the facilities is pretty high tech. Tablets capable of holo-communication, stasis rifles that can create a bubble and paralyse the muscles of anything within, forcefields, scanners, high tech stuff. Ten years from the current date, Alterra Inc. sent out a Harrower-Class Star Destroyer to the Unknown Regions, to find a planet rich with natural resources. They did, the ship was orbiting the planet, when the Turbo Laser platform tore a hole in the ship's engines, it then plummeted down to the ocean planet, landing in the crater. A team of four spec ops troopers survived, they escaped in a life pod, and sent a distress signal, where they were picked up by a frigate in the region. At the time, the planet was unsettled. When the Alterra spec ops troops reported back to Caesar Kenway, he claimed the planet under his/his companies ownership by law of Terra Nullius. Shortly afterwards he issued an order that hunting the native species was a detain-able offence, punishable by being returned to their ship and escorted out of the Nauthilas system. Another Harrower was sent out to scout out other planets in the system, which were also claimed under Terra Nullius, leading to the System of Nauthilas being owned by Caesar Kenway/Alterra Inc.
Settlement was allowed by Caesar Kenway, and he made an order for the planet to be scouted by probes, when that was done, he set up a Research Facility. This Facility held two of each specimen, a male and female. This Facility researched the creatures to gain an understanding of them. Five years after discovery, settlement was allowed on Abyssia, though few settled, the ones that did typically created large houses underwater in safe biomes, or areas, few settled on islands. Most of the few visitors to the planet visited to experience the planet, explore it, or try to survive it. Edited by Taramaz Laurs, 23 October 2018 - 02:02 AM. Changed the font size so it's now uniform and easier to read. Taramaz Laurs Hey! I like the base idea of this planet, but this requires a wee bit of work before it can be approved material. Please don't be intimidated by the amount of comments! My goal here is to work with you to improve this until we it can be approved! I'm going to also guess that there will be more than one edit round, but we'll start here. If you have any questions at an times or you need further explanation regarding some of the comments please don't hesitate to tag me and ask. Google is not an acceptable image source. For more information on how to properly source your images please read here. Major Exports: Riches yet to be discovered. Could you please elaborate and give examples of what sort of riches can be discovered on this planet? This should be "Unknown Regions". The coordinates should be according to the Chaos Map. Primary Terrain: Oceans, Safe Shallows, lush plant life, near to the surface, no hostile life naturally. Kelp Forests, Blood Kelp Forests, white and red thin kelp. Grassy Plateaus, red grass, no other plant life. Dunes, no plant life. Grand Reef, like the Great Barrier Reef, but deep, deep down, atleast 100 metres to 150 metres. Deep Grand Reef, 150 metres down to 250 metres, lack of plant life like the Grand Reef, but still prominent. Other biomes can be found through the Deep Grand Reef, which is under the Grand Reef. There is slightly too much information in this. The Primary Terrain refers to the planet in general. The specifics for spots on the planet should be moved to the descriptions of their relevant major locations descriptions, and you can add a "misc" section for the ones that aren't attached to the listed major locations. It houses a large turbo laser platform, with a singular cannon that can rip through a normal frigate's unshielded hull, apparently as a planetary protection system, the beam can not reach outside of the planet's atmosphere, but can curve using the planet's gravitational pull. However it can only reach halfway around the planet, meaning on the other side of the planet, there is another turbo laser platform. It's small, roughly 200 metres in length, and 100 in width. Who put the turbo laser platform there? The planet's history does not mention this either. For a planet that has no sentient population and hasn't in its history either, this detail becomes important. Please remove this comment, it is unnecessary. You can always request to have the hyperlinks edited in later through the Submission Modification thread. Native Species: (Relax, I'll make the species submissions in the codex for these soon) Reaper Leviathans (Dunes, and Grand Reef and Deep Grand Reef, eleven in total), Sea Dragons, Leviathan class. (Inactive & Active Lava Zones, only three) Stalkers (Thin shark like creatures) Bone Sharks, armoured, sharks, but thinner, less bulky. Sand Sharks, thin and wide, and I mean thin, thinner than a human hand is long, like to burrow into sand, Crab snakes, big, long pink snakes with two front grabbing hook mandibles, and two smaller teeth, the hide in burrows, crab squids, eight legged creatures with gigantic heads, they can produce a short lasting, short range EMP naturally, about five-ten metres in distance, depending on size and age of the specimen, Ghost Leviathans, large, ghost like creatures that feast on plankton, live in the Ecological Dead Zone, but grow up in the depths of the crater. Many other insignificant ordinary, but native fish species that serve as food. Cuddlefish/Cutefish, cute little cuddly creatures that serve no purpose, an adult male is generally the size of an average human torso, they have squid like tentacles that span half of their body length, halfway down, and a cute little head from the top up, all connected. They're very playful and love attention, much like the Wee Dragons, though they only eat flora or plankton, even certain treats. Reefbacks, large creatures with around five tentacles they used for steering, they drift along with the currents, they have miniature reefs on their backs. They're the whales of Abyssia. There is also a large species named Sea Emperors/Sea Empress's, being the only species to have a name affected by gender, they are the largest documented species, capable of telepathy within a kilometres range, they have claws for hands, and typically command creatures smaller than them, they are peaceful however, and can pacify other creatures that are generally aggressive, they have nine tentacles which they use to propel themselves through the water, they are Leviathan class creatures. Usually writing this in paragraph format is fine, but as this is very extensive, it's also very hard to read. I'm going to have to ask you to change this into a list format. To make it easier you can just mention the species' names and then later when you get to writing their subs put the elaboration of them in there. By your descriptions, there are settlers on the planet. Their species would be what counts as immigrated species. Population: Uninhabited by sentient life. Following the former comment, this should state the amount of settlers. There's no need for exact numbers, something along the lines of "some settlers" is sufficient. Demographics: It is an uninhabited planet, as it is, at it's present state, near impossible to colonise properly. A few homes may be present, but that is it. Same issue as before, there are settlers. Primary Languages: Whatever is used by the rare inhabitants. It is too barren of sentient or semi sentient species to have one primary language. What do the settlers speak? Affiliation: It falls under the ownership of Alterra Incorporated, by the law of Terra Nullius, or the closest equivalent. Please make sure to hyperlink to company page and character pages. Military: The protection Alterra offers from the species being hunted to mass extinction, apart from that, the residents are left to fend for themselves. Do you mean there's guard quads? A local form of militia? Something else? This should be stated. Technology: Residents bring their own technology and weapons, simple. What is the level and type of technology that the current residents have? This should also account for the tech in the research center mentioned in major locations. The historical information is very hard to understand and it's a little bit all over the place. On one hand you remains the planet remains unsettled, on the other hand there are houses and a research center and settlers. I would recommend taking some more time to rewrite the history to make readers be able to understand it easier. There we go, Scherezade deWinter should be all good now, fixed it up. It is too barren of sentient or semi sentient species to have one primary language. this sentence can be safely removed. If there are no sentient species on the planet there is not language, but if there are settlers there is, and you've mentioned that the settlers speak Basic. Demographics: A few large research facilities and housing areas are present on the world. Please describe the population assortment found among the settlers. Are they primarily human? Are there non-human species? Is it the other way around? Is the settlement open to various kinds of species? Specific race percentages are welcome but not required. Culture: Creatures generally vary their sleep schedules, certain species just drift around, in a resting state, apart from that, they hunt, or scavenge, depending on the species. Some even filter feed. This part should should include information about daily life, society, arts, sports, religion. Since your population is essentially your settlers, this should be about the settlers. Demonym: Abyssian? who knows, the planet is not inhabited by sentient life, and never has been, atleast not officially. Technology: Residents bring their own technology and weapons, simple. It is usually normal level technology from whereever that were before they came to Abyssia. This still needs more elaboration, as tech levels can carry greatly. Try to focus on the tech level of the research center and going off from that. The primary terrain section has not been edited. Please refer to my previous comment post. The history looks great now! Much more readable and easier to comprehend. Thank you! System Features: Sun (Nauthilas Prime) Moon (Nauthilas Delta) Other Planet: Kōri (Ice Water World). Length of Day: 20 (Earth) Minutes. Length of Week. 2.43 (Earth) hours. Length of Month: 11:21 (Earth) Hours. Length of Year: 137.02 (Earth) hours. The first one here collides with the other two. If the planetary span is so short, it would be well outside the Goldilocks zone and not very livable, which goes against it having a Type I atmosphere and having life on it. The temperatures would be also extremely hotter/colder. I would recommend simply changing (or removing) the day/week/year lengths. Demographics: A few large research facilities and housing areas are present on the world. The settlement is open to all kinds of species. What of the demographics of the settlers who are currently there? Taramaz Laurs What is the status of this submission? Well it should be finished, unless you need it edited more. Also note to self: Delete some stuff from your computer, it needs less lag so when you post, it actually posts. 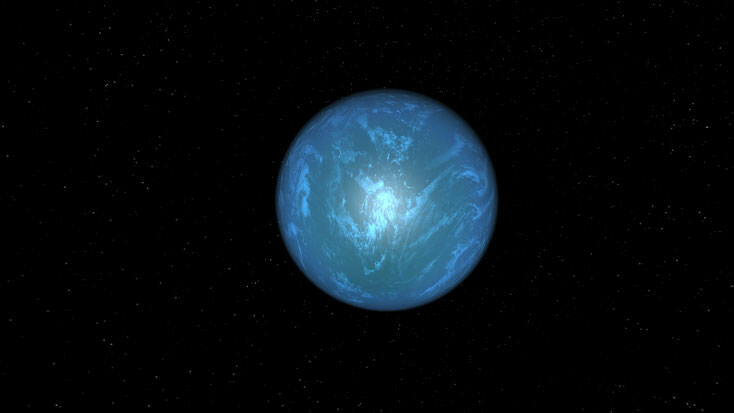 After reading through this planet sub, I found it to be way too similar to Planet 4546B from Subnautica from the terminology to the descriptions of locations and species. It's fine to take inspiration from things you like, but plagiarism and crossplay aren't accepted. Probably the most egregious examples are seen in the Major Location field, Population Section, and Historical Section. I'd like you to start with these areas, making changes to names and descriptions to differentiate them more from the game world. Edited by Jyoti Nooran, 22 October 2018 - 11:09 PM. Jyoti Nooran Updated it for you, and the historical section does not need any changes, because I took inspiration from the idea of a ship being shot down in orbit. From there, a lifepod is a standard procedure event, and in the game, the survivor was sent plans for a ship which he had to build, not rescued by another ship. Thus, there is no true plagiarism in the Historical Section. Perhaps hints of it, but not enough for it to be changed. Looking over this again, I really don't see much change, if any. I'm going to deny this, and urge you to resubmit something with more originality. If you don't agree with my decision, then feel free to request a second chance.